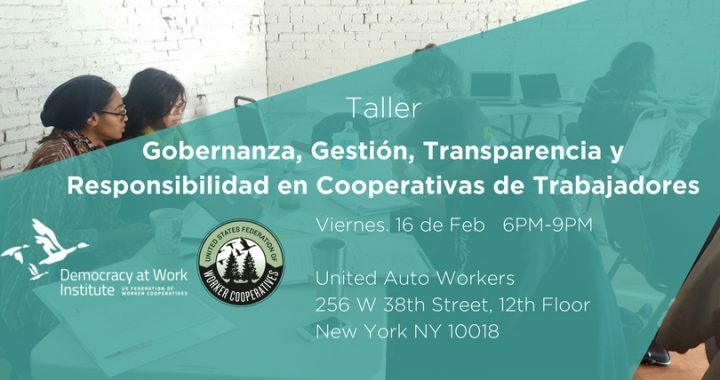 What are the roles and responsibilities of worker-owners, managers and board of directors in a worker cooperative? How can worker-owners distinguish between decisions that belong to administration and operations? In this session, attendees will learn about their roles and responsibilities. We will look closely at the responsibilities of the Board of Directors, and the different layers of decision making. We will share a Tool Kit to support worker-owners to improve their meetings and decision-making process. Facilitator: Ana Martina Riva, Director of Membership at the US Federation of Worker Cooperatives.